Ah, the holiday season. It’s a time for socializing with family and friends. So why not give your guests the gift of health with these easy-yet-effective tips for improving the air quality in your home offered by the Ontario Lung Association. Family and guests with breathing difficulties will thank you for it. 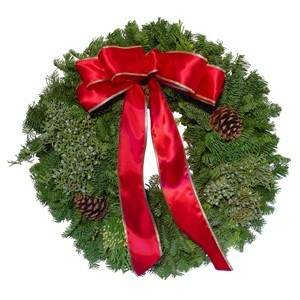 Deck your halls with boughs of holly – but make sure they and other live evergreens such as wreaths and trees are mould free! Cut trees and boughs are often stored in moist environments until sold. Best to dry them out in the garage before bringing them indoors. Artificial trees can also be a real source of dust and mold and should be taken outside to be ventilated before decorating your home. Avoid heavily scented candles and ones with lead wicks, and avoid use of air freshener solids and sprays. While that lovely scent of cinnamon apple may warm the cockles, it’s sure to get someone sneezing or wheezing. A roaring fire is lovely to watch but if you can smell the smoke, it’s indoor pollution. Use dry wood cut into smaller pieces; ensure the chimney is clear of any debris; don’t burn things like paper, cardboard or plastic and ensure adequate ventilation when operating, preferably by opening a nearby window. Ask your smokers to step outside. Public buildings don’t allow smoking so why should you? Tobacco and nicotine can linger in fabrics like curtains and couches long after your guests leave. Where possible leave wet boots and coats in an anteroom or garage. Ask your guests before your soiree whether they have any food sensitivities or allergies, which can sometimes trigger an asthma episode. Even trace amounts of nuts – and that includes on the smacker of someone you meet under the mistletoe – can cause a reaction. Best to not serve nuts at all if you know a guest is allergic to them. Pre-cook as much as you can ahead of time so that you can spend time with your guests when they arrive. This will also help you avoid distractions that could cause to burn your hors d’oeuvres, have smoke billowing from your oven and setting off the fire alarms. Won’t your mother-in-law be impressed! Tell your guests ahead of time if you have family pets. This way, guests with breathing difficulties will know if they need to bring any allergy medications in addition to their regular inhalers. Enjoy singing carols and sharing stories around your energy-efficient LED lit tree this holiday season. If you or a family member has problems breathing because of asthma or COPD, one of The Lung Association’s certified respiratory educators can help. Call the toll-free Helpline at 1-888-344-LUNG (5864).